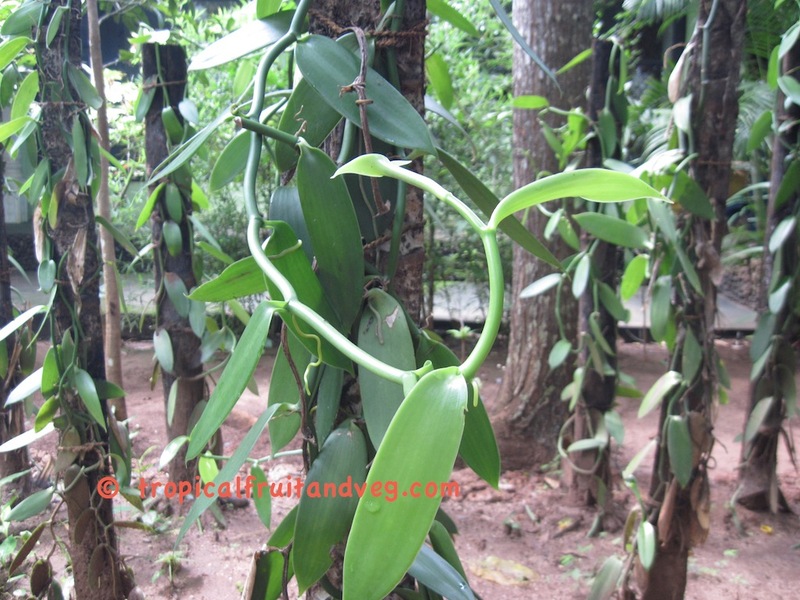 Vanilla is a climbing orchid vine, climbing up an existing tree, pole or other support and can reach a length of 30 metres. The stem is 1 cm diameter and leaves are alternate dark green and fleshy and between 5 to 12 cm long and 1 to 3 cm wide. The flowers give away their orchid heritage which are white and distinctive. The pods take about 6 months to grow and mature after pollination and can be 10 to 25 cm long. The pods take a further 4 to 5 months to dry before they can be used for the distinctive flavour. 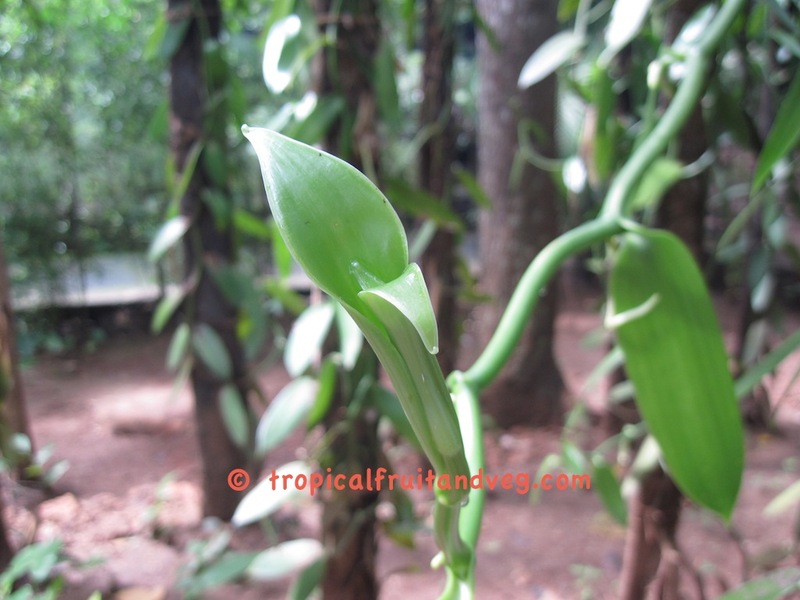 Vanilla require a tropical climate, hot with high humidity but with 50% shade. Rainfall should be average. As it is a vine it requires support such as a tree, pole or string trellis. Flowering occurs once a year in spring and each flower must be hand pollination with 12 hours of opening. Natural pollination is very rare outside its native habitat in Mexico/central America. 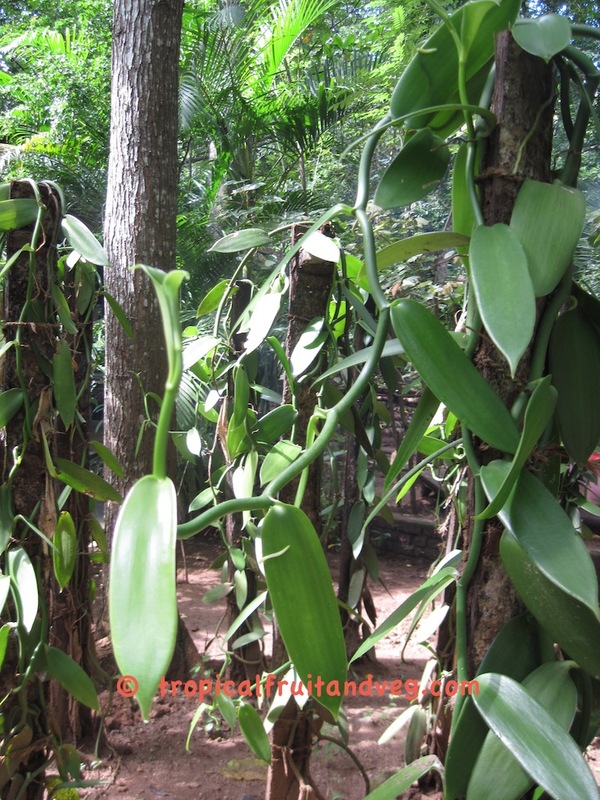 Soils for vanilla cultivation should be loose, with high organic matter content and loamy texture. It must be well drained. Soil pH should be acidy around 5.5 to 7.0.